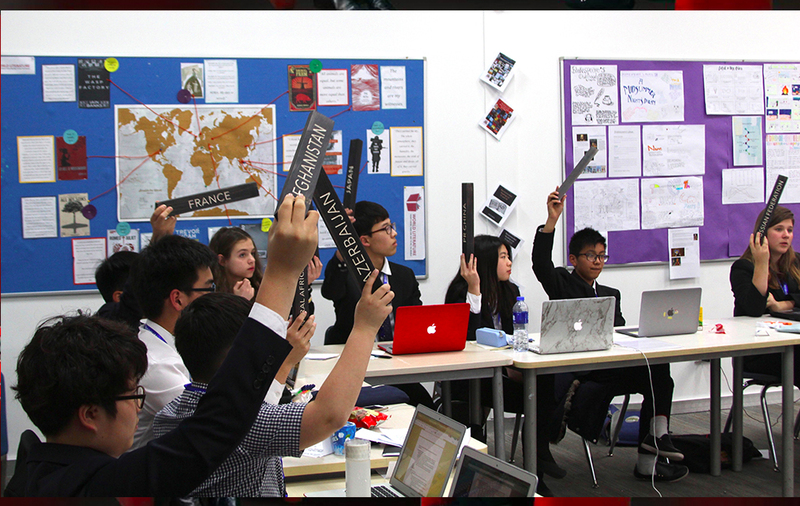 2nd of March marked the beginning of DIMUN VIII at Dulwich College Beijing. Over 300 students from thirteen different schools in Asia came together to draft resolutions and solve pressing issues ranging from reducing the industrial impact on marine biodiversity to addressing the conflict in Kashmir. The end result was truly impressive: 804 speeches and 1625 points of information were made in just the short span of three days. 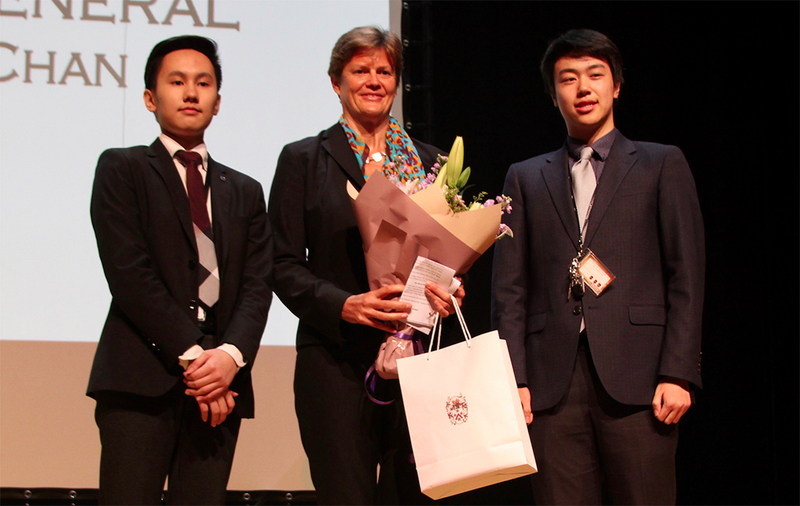 This year at DIMUN, an entirely student - initiated and student - led event, we were extremely privileged to host the first female British Ambassador to China, Dame Barbara Woodard DCMG OBE, as the honoured keynote speaker for the opening ceremony. Considering how driven the delegates were during the conference, they were undoubtedly inspired by her insightful presentation which was live-streamed and can be watched by clicking the link below. Even as DIMUN VIII came to a close, the lasting effects of this remarkable three-day conference did not end. In reflection of the very issues debated in the many conferences, the remaining DIMUN branded hoodies will be supplied to the DCB charity project in Yunnan province and the surplus funds will be donated to UNICEF through DIMUN’s newly established Charity Program to help those children who are less fortunate. 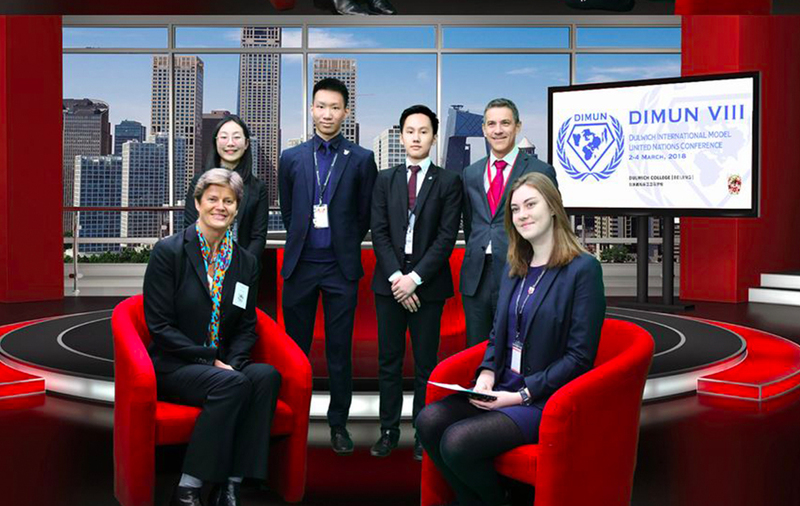 DIMUN has been a unique experience for delegates to engage in the global community and our students look forward to seeing everyone back next year for DIMUN IX!